Grand prize winner: Oliver Klink for his work “Spirit of the Village” (part of Cultures In Transition). Dodho Magazine is an independent international magazine, born with the vocation to promote the work and projects of emerging photographers and professionals from all over the world. Since its launch in April 2013, Dodho Magazine has uncovered countless photographers and put their work in the spotlight of professionals in the photographic industry. 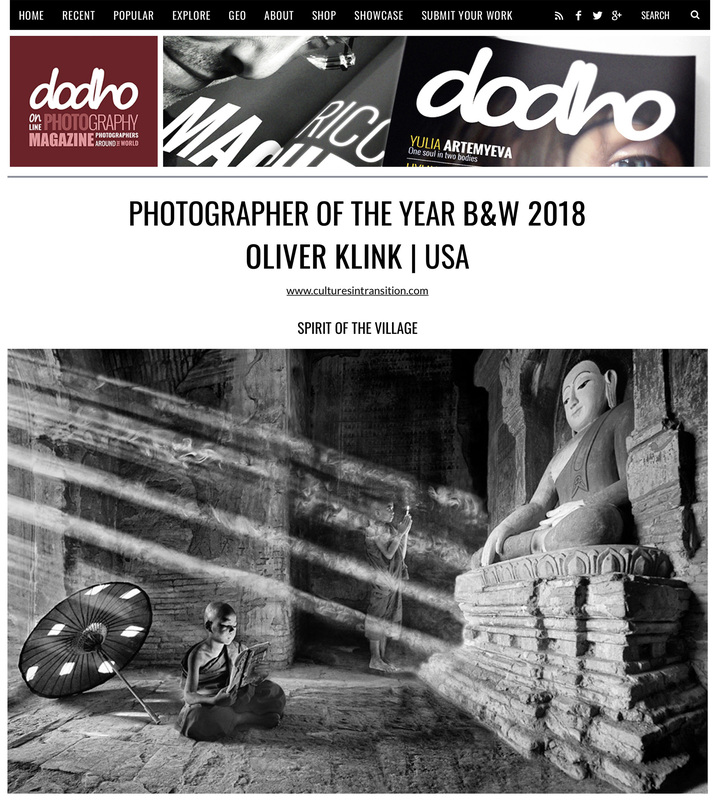 With more than one million annual visits and half a million pages viewed monthly, Dodho Magazine has managed to become the fastest growing photo magazine and become a benchmark among galleries, agencies and other publishers around the world. Dodho Magazine allows all amateur and professional photographers from around the world to spread their projects around the world in record time and share their passion and ideas about photography through their community.